Home > Winemaking > Getting Started! Let’s Get Started. It’s Easy! Okay, the fact that you’re here means the idea of making your own wine has crossed your mind. We are ready to help make your experience the best it can be. Winemaking is so much more than just the process of converting grape juice into a delightful wine. It’s about personalizing your experience by learning about wines and selecting from the many unique wine varieties and styles. More importantly, it’s about the pride and pleasure you feel when you taste the first sip of a wine you have crafted yourself. At RJS, we select the highest quality grapes from the finest vineyards around the world, using the same grapes as many familiar wine brands. The grapes are shipped to state-of-the-art facilities where experienced staff sort, crush and press the grapes with new-age techniques and high-tech equipment. We ensure that the grapes are processed with the highest standard of quality assurance. The juices and concentrates are blended to perfection, and monitored by our skilled Quality Assurance team to ensure the best possible quality for every one of our wine kits. The wine “must” is packaged into our wine kits, along with other ingredients to create your favorite wine style. The wine kit is ready for you to craft and enjoy! Winemaking has changed drastically from the past when it was just an inexpensive alternative to store bought wines. 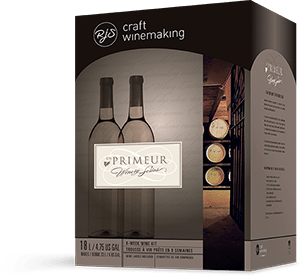 RJS Craft Winemaking has revolutionized the craft industry with our superior quality wine kits that guarantee winemaking success. Now there are so many more reasons to craft your own wine. Craft winemaking is a unique experience that’s stress-free. It’s easy to get started and you’ll have fun learning more about wine throughout the process. Craft winemaking is a great activity to enjoy with friends and family. It also gives you a chance to meet other winemakers and share tips for making great wine. Add winemaking to your list of accomplishments. Create a custom wine cellar you are proud of and can share with friends and family while entertaining. It’s not about price, it’s about value. 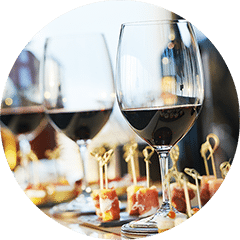 As a wine enthusiast, you’ll appreciate being able to craft and serve quality wine at a fraction of the cost. By crafting your own wine and keeping a stocked cellar, you’ll always have bottles on hand with fewer trips to the local liquor store. 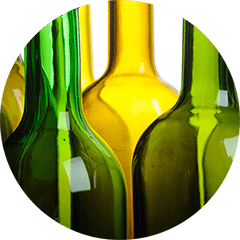 Reusing your wine bottles reduces the amount of glass that needs to be produced for wine consumption. Being enviro-friendly benefits us all. Two ways you can make your own wine. Visit your favourite RJS Craft Winemaking retailer. 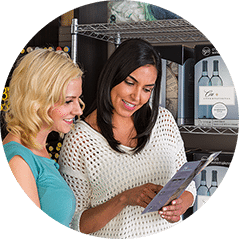 They will help you choose the wine that’s right for you from over 130 wine styles. 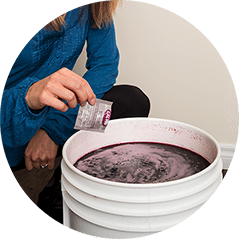 You will start fermentation process by adding the winemaking ingredients to the juice. 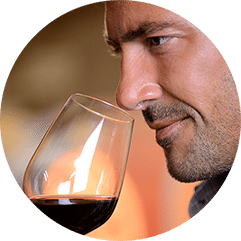 Your craft winemaking specialist will keep an eye on your wine as it develops. After 4 to 8 weeks of fermentation (depending on the wine you have chosen), you will return to bottle the wine. You will also expertly cork your wine and finish it off with your choice of labels and shrink tops. Get creative and personalize your labels to make the wine truly your own. The moment you have been waiting for …that first sip! Much like finished wine bought at your local wine retailer, RJS products can benefit from some aging in the bottle. Your Craft Winemaking Specialist can help you with some recommendations. Don’t forget to share! If you want to get really hands-on, you can make your own wine at home. It’s fun, easy, and earns you some serious bragging rights. Find a RJS Craft Winemaking store near you. 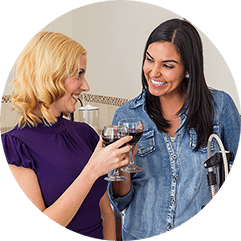 They will help you choose your favourite wine style and set you up with the equipment and materials you will need. Familiarize yourself with the ingredients and instructions. 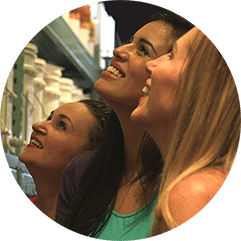 Different kits have different ingredients – although they all follow the same basic process. Sanitize your equipment! It’s critical to your successful winemaking. Add the ingredients according to the instructions, sprinkle the yeast on top and let the fermentation begin. 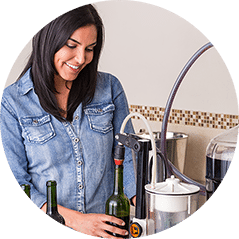 Monitor the fermentation process and once complete, transfer the wine into a carboy (fermentation container) and add the ingredients to begin the clearing process. Optional – filter your wine to ensure your wine is clear. 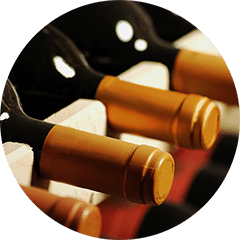 Your RJS Craft Winemaking retailer has all the bottles, corks, capsules and labels you need. 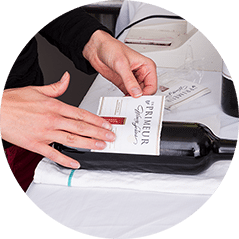 Get creative and personalize your labels to make the wine truly your own. Open and enjoy… and don’t forget to share! The moment you’ve been waiting for… that first sip! Much like finished wine bought at your local wine retailer, RJS products can benefit from some aging in the bottle. Your Craft Winemaking Specialist can help you with some recommendations. It’s super easy to make wine at home. RJS customer service is available to answer your questions.